Meet Lil Bogdan, a nationally recognized beauty expert, speaker, registered nurse, and co-founder of L'ATHENE - an all-natural cosmeceutical skin care treatment line. Being a national speaker in the beauty field, she is often asked about makeup and skin care. Fortunately, she took some time to share with LoveToKnow her insight and experience through our exclusive interview. After completing her Bachelors degree in nursing school, Lil pursued an avid interest in aromatherapy while working as a Registered Nurse at Johns Hopkins Hospital in Plastic Surgery and Oncology. Throughout her career, she consulted on patients with burns and severe dermatological conditions at leading hospitals. As her interest in skin grew, she later worked alongside Nan Brown consulting on patients with burns and severe skin conditions. Soon after, Lil and Nan teamed up to participate in a two-year Johns Hopkins clinical study on severe skin problems. Using their combined knowledge, they trained other professionals about patient skin problems and treatments. 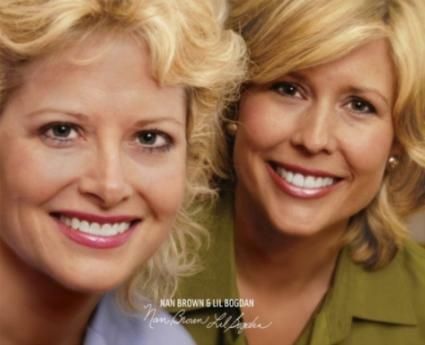 After years of treating skin at its very worst, Nan Brown and Lil Bogdan discovered that skin responds best to pure potent nutrients in nature. As nurses, they also know the value of treating the spirit as well as the body. Together with this experience and knowledge, they created the L'ATHENE skincare line. Athena is the goddess of wisdom, health, purity, and reason, which is exactly why the skincare line was named after her. The product line is a cosmeceutical, meaning it provides medically based ingredients. A big difference in their products is they are pure - with no chemicals and 99% preservative free. 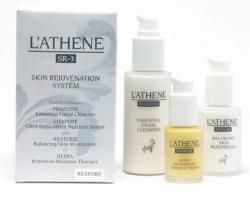 You can find L'ATHENE in doctors' offices, spas, hospitals and on their consumer online site. How does using makeup affect our skin health? Typically when you have problems with your skin, you reach for more makeup. We say, instead, go back to the primary cause, the canvas. If you have a beautiful piece of canvas to work with, anything you put on there will come out beautiful. When the canvas is damaged, it is hard to make a beautiful outcome. So, from that platform we say work with products that go in harmony with your skin. If you are starting to see redness and swelling, probably what you are using is too harsh. When applying makeup, we always say to start with the minimal amount as possible. Then, if you feel like you can't get the coverage, you can treat the canvas, and you will be more proud of letting it show a little bit. What most women that use our product line tell us is they have the need for less makeup, because their skin gets healthier. What tips do you have in regards to makeup and aging? The tips would be to start with the canvas and as far as makeup, we like to see women use a mineral based makeup. It is not any particular brand, but minerals are natural anti-inflammatories, which is part of what you deal with as you get older - your body goes through more and more inflammation. The more you can control it and not stimulate it, the better off you are. Mineral makeup helps to minimize that and it is light reflective, so it provides some sun protection and SPF. Mineral makeup is another safeguard towards protecting you from the environment and aging.When you are older, your body has gone through a number of processes, it starts to show signs of wear. You will start to see the signs of time - sagging, dark circles and less firmness. We say to target those areas that have proven results - particularly around the forehead and eyes. There are products that are targeted to work on that area - called the peptides. Also look for ingredients with antioxidants because they have been proven to combat the destruction of your skin by the environment. You can take it in the body in terms of foods - like eating your fruits and berries, and then when you combine that with a topical you are getting it double ways. In particular for those who are 55 - plus, those who have gone through menopause and no longer have the hormone support to keep the skin firm, we tell them it is very important to combine the external application and the internal. Can you combine skincare products within makeup ingredients for good results? I am unsure of the vehicle of how they are getting these ingredients in. In the case of the brush-on or powder consistency, I am not sure how effective it can be sitting on the surface. I do know that when you can get skincare ingredients into the skin, they are very effective. Makeups that have it in cream formulas may provide some benefits. But, anytime you add coloring in cream form to the silicon or propylene glycol based formula (which is large molecules that sit on top of the skin), I can't completely understand how they can get the skin care ingredients into the skin. But again, I can't think of a disadvantage of having them there. Basically, these ingredients will not be as beneficial in your makeup as your skin care products. From your experience with trauma and skin, do you have any advice on hiding skin imperfections? Years ago there was the older camouflage makeup, what is available now is so much better for scar and trauma coverage. Makeup companies have really responded and perfected products so they don't look as cakey anymore. If you need good camouflage coverage, talk to your doctor or search "doctor's offices camouflage makeup" on the Internet. These can be purchased to cover anything from a birth mark to a large scar. From a medical perspective what should makeup wearers consider? Always apply sunscreen separately from your makeup. Even if makeup includes an SPF in their formula, you simply don't put enough on to get the full benefit. Combination products simply mean you don't get the effectiveness with either one - even a moisturizer and sunscreen formula - because, if you are really going to the beach, don't you put on sunscreen a little different than if you are putting on your makeup for the day? Plus, you usually only put your makeup on in the morning, and the main sun damage happens in the afternoon. Are there certain ingredients in makeup we should avoid? As a consumer, Google your skin and makeup products. If you find lots of ingredients that are listed as skin irritants, a lot of the petroleum based ingredients, or the ureas - the products taken from urine. These are all used a lot in makeup and skin care industry and they are known irritants. What is your favorite makeup product and why? I feel like I cannot make it through my day without a little blush, because I avoid the sun as much as I can. I tend to use a mineral blush. What I have given up is the liquid foundation, so that is how I started working with minerals.